The Planning Inspector and The Future of Harpenden. St Albans District Council’s draft ‘Strategic Local Plan’ has taken three years to cobble together and even in the opinion of the Deputy Chairman of the District Council’s ‘Planning Policy Committee’ was not the finished article when it was rushed off to the Planning Inspectorate for their consideration. If any notice at all had been taken of well-informed comments by interested organisations like Harpenden Town Council, if District councillors had had more understanding of the consequences of what they were being asked to agree at their monthly meetings, if District councillors not been frightened to go against their party line and had the whole process not been railroaded through to meet a pre-arranged time table, then the Plan would have been in much better shape to put before the Planning Inspectorate than it is. Planning Inspectors from the Planning Inspectorate have the reputation for being sharp. They are experienced practitioners who will decide for themselves if the law and planning practice have been followed in any plan they are reviewing. Mr David Hogger has been appointed by the Planning Inspectorate to examine St Albans District Council’s draft ‘Strategic Local Plan’. He has the power to throw out the draft plan and to ask your District Council to start again, to order major changes or to agree that it is, in planning terminology, ‘sound’. Nobody is going to pull the wool over Mr Hogger’s eyes. Mr Hogger convened his first meeting on Wednesday 26 October in St Albans Council’s Council Chamber to discuss the first issue on his mind which is known as the ‘Duty to Cooperate’. The chamber was packed with planners, barristers and members of the public. To begin with, he had invited 8 neighbouring district councils, Hertfordshire County Council and the Home Builders Federation to discuss whether your Council had made a reasonable effort to work closely with its neighbouring councils on key issues like the provision of infrastructure and overall numbers for the building of new dwellings. The discussion which took place between the invitees and a senior planning officer from your Council was contentious and lasted well over 3 hours. There was little, if any, common ground. Towards the end of the meeting, it was possible for individuals to give their comments to the Inspector on the issue of the ‘Duty to Cooperate’. A 25-minute submission by a resident of Harpenden, Mrs Joanne Whitehead, covering the weaknesses of your District Council’s efforts to comply with the ‘Duty to Cooperate’, captivated the attention of all those present as well as The Inspector who asked for her presentation to be emailed to him (which it has been). The failure of your District Council to take fully into account in the planning process and under ‘The Duty to Cooperate’, the distinct possibility that Central Bedfordshire Council may build 900 homes just north of Harpenden on land over which it alone has the right to allocate for building. Residents in those new homes would use Harpenden’s services and facilities, there being no other option open to them. 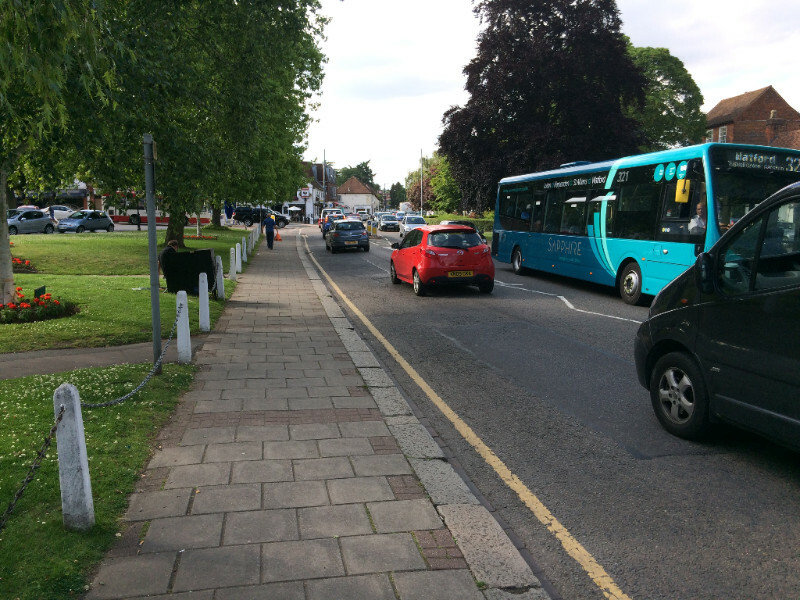 The failure of your District Council to have detailed discussions early in the planning process with the relevant highways authorities on how to manage the extra traffic on our road network which would be generated by the building of as many as 2,200 new homes in or near Harpenden. The failure of your District Council to start early in the planning process to plan with Hertfordshire County Council the provision of sufficient school places for existing residents let alone new residents. Under: ‘Written Representations on Duty to Cooperate’ Final 2. Mr Hogger certainly has a lot of new information to review and he needs time to consider his next move. That may be in January. Copyright © 2016 Harpenden Green Belt Association, All rights reserved.